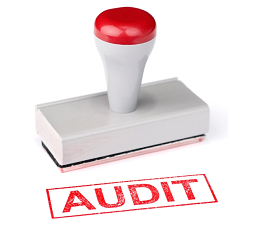 Learn how to conduct the self inspection and quality audits in Pharmaceuticals. Self-inspection is basically a method of objective overall review of one’s own operation on aspects that may have on quality effect on quality assurance. In general, self-inspection aims at identifying defects whether of critical, major or minor nature. Selff-inspection should be conducted by designated competent persons from the company. Self inspection program is conducted in order to monitor the implementation and compliance with current GMP principles and to ensure that the necessary corrective measures are taken. Self-inspection is a way to evaluate the whole operating system from every aspect that might influence the quality of the products. It is not only to find the weakness or fault but more important is to find a way to prevent and to overcome the problems effectively. A self-inspection team, of which the members are appointed by company management, should initially prepare a self-inspection checklist for reference in the implementation of inspection. Self-inspection team should be withdrawn from the production, quality control, quality assurance, research & development, engineering and general affairs departments. The team should consist of technically competent persons with a high conscience in quality assurance in drug product processing activities. The Self-inspection team should carefully study every point in the GMP guidelines and drive questionnaires fitted to the company needs. The following items should undergo self-inspection so as to ensure GMPs in the premises as per WHO requirement. Self-inspection shall be conducted at reasonable intervals but should cover an area/operation/function at least once a year or if necessary at short intervals. In the implementation of self-inspection, the team should consistently bear in mind that the purpose of the self-inspection is to look for improvement and not only fault finding. The team also gives recommendations for solving encountered problems taking into consideration the economic aspects of GMP implementation.